President Obama often makes reference to how trying times can provide “teachable moments.” The recent outbreak of bacterial meningitis on college campuses is such a moment, but don’t expect the President to notice. The fact that school officials had to seek federal government permission to import a vaccine not yet legally available in the U.S., reveals anew the human cost of overbearing government regulation. Seven cases of infection with the “B” strain of bacterial meningitis have occurred at Princeton University, and four have been confirmed at the University of California at Santa Barbara (UCSB). Statistically, 10% of those infected with meningitis B die, and 20% of those who recover suffer from severe side effects such as deafness and limb loss. Vaccines for every strain of meningitis have been approved for use in the United States except meningitis B; however a vaccine called Bexsero has been approved for use in Europe, Australia, and Canada. At Princeton. Last October, with terrified students and their parents demanding action, school and state health officials had to ask federal health officials if Bexsero could be imported and administered at Princeton. Cue the creaky wheels of bureaucracy. The Centers for Disease Control and Prevention (CDC) asked the Food and Drug Administration (FDA) to issue an investigational new drug application, which is required to import Bexsero. 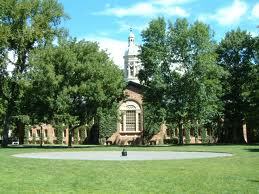 The vaccine finally arrived at Princeton in early December, and immunization began there last week. U.S. Approval Hurdles. Also baffling—why a vaccine for such a deadly strain of meningitis must be imported from countries like Canada because it’s not legally available here. Bexsero is currently bottled up in FDA’s plodding approval process. The agency could, as the Hoover Institution’s Henry Miller recently argued, pursue accelerated approval, and perhaps now it will. But even if it does, the regulatory road to acceptance and use of Bexsero would not end there. As a May 2011 Legal Pulse post discussed in the context of meningitis vaccines for vulnerable infants, drug makers must also convince a little-know entity at the CDC, the Advisory Committee on Immunization Practices (ACIP) of their products’ worth. ACIP reviews new vaccines and new uses of existing vaccines and makes recommendations to the CDC on which should be routinely administered to the public. These recommendations impact not only billions of dollars in federal purchases of vaccines, but are also unfailingly followed by pediatricians and other doctors. And though ACIP has just recently accepted an infant meningitis vaccine, it had initially opposed that FDA-approved drug on “cost-effectiveness” grounds. A decision last July by ACIP’s counterpart in the United Kingdom may foreshadow Bexsero’s future use in the U.S. UK immunization advisers deemed the meningitis B vaccine too costly, and they refused to include it on the national health plan’s vaccination schedule. Given U.S. health officials’ affinity for Euro-style health cost containment, that decision does not bode well for at-risk Americans. It appears that CDC may assent to Bexsero inoculations soon at UCSB. Now only if there were an inoculation available to protect us all against overregulation. Two More Food Labeling Class Action Rulings: Harbingers of the New Year?